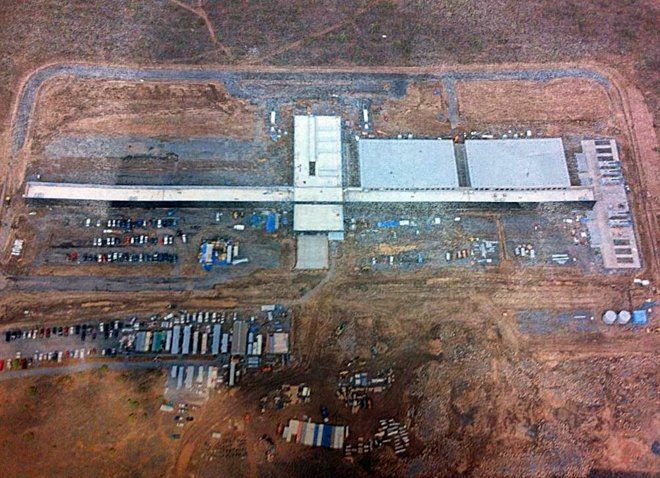 Apple's Prineville, Ore. data center. According to Crook County administrator Judge Michael McCabe, Apple bought a tract of land located adjacent to its Prineville facility, reports local publication The Bulletin. The company has yet to disclose how, exactly, the land will be used, but a report in April said Apple was on the verge of doubling its Prineville footprint. At its current Oregon data center, Apple is operating out of two 338,000-square-foot buildings, referred to as "pods" or "data halls," situated on 160 acres of land purchased from Crook County. When construction began in 2012, plans called for the eventual rollout of 14 additional data halls. McCabe said Apple filed an application to expand its data center in April, though permits are pending. The Crook County administrator anticipates Apple will seek beneficial tax breaks in return for the creation of well-paying jobs, the publication said. In 2013, reports estimated Apple to pay out about $150,000 each year to the governments of Prineville and Crook County to rate a 15-year property tax exemption. That arrangement stipulated the Prineville facility must be staffed by 35 people, some of whom receive wages up to 150 percent higher than the regional average. Like its sister data center in North Carolina, Apple's Oregon operation is powered by green energy. The company purchased a small hydroelectric power project in 2014 to augment energy generated from nearby wind farms.